This article is about dynasty in Iran. 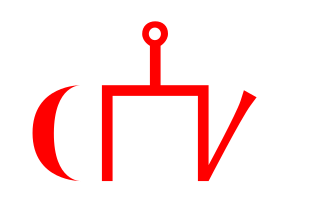 For Anatolian beylik, see Chobanids (beylik). "Chupani" redirects here. For the village in Iran, see Chupani, Iran. Mamluk is an Arabic designation for slaves. The term is most commonly used to refer to slave soldiers and Muslim rulers of slave origin. During the early 14th century, Amir Chupan served under three successive Ilkhans, beginning with Ghazan Mahmud. 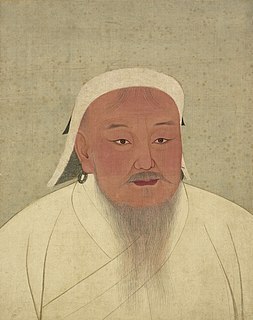 A military commander of note, Chupan quickly gained a degree of influence over the Ilkhans and married several members of the line of Hulagu Khan. His power fueled resentment among the nobility, who conspired against him in 1319 but failed. The Ilkhan Abu Sa'id, however, also disliked Chupan's influence and successfully eliminated him from court. He fled in 1327 to Herat, where the Kartids executed him. Several of his sons fled to the Golden Horde or the Mamluks of Egypt while others were killed. The Chobanids were not completely wiped out from Persia. A daughter of Chupan's, Baghdad Katun, had caught the eye of Abu Sa'id. During Chupan's lifetime, she had been married to Hasan Buzurg, the future founder of the Jalayirids, but after Chupan fled Hasan Buzurg divorced her, and she married Abu Sa'id. She quickly gained influence over the Ilkhan and exercised the wide powers given to her. She was alleged (but never proven) to have been involved in any conspiracies against the Ilkhan, but was believed by some to have caused Abu Sa'id's death in 1335. Abu Sa'id's successor Arpa Ke'un executed her. Arpa Ke'un, also known as Arpa Khan or Gavon or Gawon, was an Ilkhan (1335–1336) during the disintegration of the Mongol state in Persia. He was a member of the house of Tolui. His lineage traced back to Ariq Böke, who was the youngest brother of Möngke, Kublai and Hulagu. Arpa Ke'un's position proved to be weak; when a granddaughter of Chupan, Delsad Katun, fled to Diyarbakr, it caused the governor of that region to attack and defeat the Ilkhan. During the strife that occurred in the next few years, individual members of the Chobanids sided with various factions, such as Arpa or Hasan Buzurg. The latter ended up marrying Delsad Katun, who provided for the heirs to the Jalayirid position. While the Jalayirids were consolidating their position in Iraq, however, other Chobanid were also busy. Hasan Kucek, a grandson of Chupan, rallied much of the Chobanid family to his side and defeated the Jalayirids in 1338, paving the way for a Chobanid realm in the area around Tabriz. That same year, he elevated Sati Beg, sister of Abu Sa'id and widow of Chupan, to the Ilkhanid throne. To keep Sati Beg in check, he forced her to marry his puppet Suleiman Khan. Hasan Kucek continued to fight the Jalayirids (a fight which was further complicated by the incursions made by Togha Temur of Khurasan), but family infighting proved to be the most difficult challenge. Several members defected to the Jalayirids; in any case, Hasan Kucek was forced to deal with them up until his death in 1343. A power struggle quickly emerged after Hasan Kucek's death. During the dispute, Hasan Kucek's brother Malek Asraf gained the upper hand and eliminated his uncles. By the end of 1344, Malek Asraf had gained effective control of the Chobanid lands. Like his predecessor, Malek Asraf used puppet monarchs from behind which he ruled. 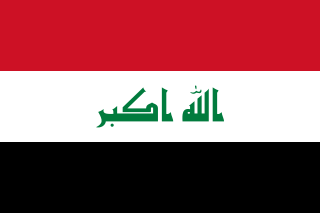 During his reign, the Chobanid attempted to capture Baghdad from the Jalayirids in 1347 but failed miserably. He also failed to seize Fars from the Injuids in 1350. As his reign wore on, Malek Asraf became more and more cruel, prompting widespread dissatisfaction amongst his subjects. When forces of the Golden Horde overran the Chobanid realm and captured Tabriz in 1357, few lamented the loss of power by the Chupanids. Malek Asraf was executed, and his family brought north to the Golden Horde. Malek Asraf's offspring were eventually killed off in Persia, bringing a definitive end to the Chobanids as a power. Baghdad Khatun, was a Chobanid princess, the daughter of Chupan. She was the Empress consort of the Ilkhanate as the wife of Abu Sa'id Bahadur Khan. Timurtash was a member of the Chupanid family who dominated pominated Persian politics in the final years of the Ilkhanate. He was the second son of Chupan. Shaikh Mahmoud was a member of the Chupanid family who lived in the Ilkhanate. He was the fourth son of Chupan. Hasan Kuchak or Ḥasan-i Kūchik was a Chupanid prince during the 14th century. He is credited with setting up a nearly independent Chupanid state in northern Persia during the struggles taking place in the aftermath of the Ilkhanate. Demasq Kaja was a member of the Chobanid family during the middle of the fourteenth century. He was the son of Coban. Dilshad Khatun (meaning 'Happy Hearted'), also Delshad, was a Chobanid princess. She was the wife of Ilkhan Abu Sa'id Bahadur Khan, and after him Hasan Buzurg, the first ruler of the Jalayirid Sultanate, and the mother of his son and successor Shaikh Awais. Shaikh Awais Jalayir, also known as Uvais or Oways, was a Jalayirid ruler of Iraq (1356–1374) and Azerbaijan (1360–1374). He was the son of Hasan Buzurg and the Chobanid Dilshad Khatun. Malek Ashraf, was a Chupanid ruler of northwestern Iran during the 14th century. He was the last of the Chupanids to possess a significant influence within Persia. He was the son of Timurtash. Yasa'ur was a Chagatai prince who launched a revolt against the Ilkhan Abu Sa'id. He was the son of Chübei, and a great-great-grandson of Chagatai Khan. Yagi Basti was a member of the Chobanid family and the ruler of Shiraz for a part of 1343. He was the son of Amir Chupan by his second wife. Abu Sa'id Bahadur Khan, also spelt Abusaid Bahador Khan, Abu Sa'id Behauder, was the ninth ruler of Ilkhanate c. 1316-1335. This kingdom encompasses the present day countries of Iran, Azerbaijan, Georgia, and Armenia, as well as portions of Iraq, Turkey, Afghanistan, and Pakistan. ↑ Melville & Zaryāb 1991, pp. 496-502. Melville, Charles; Zaryāb, ʿAbbās (1991). "CHOBANIDS". Encyclopaedia Iranica, Vol. V, Fasc. 5. pp. 496–502.